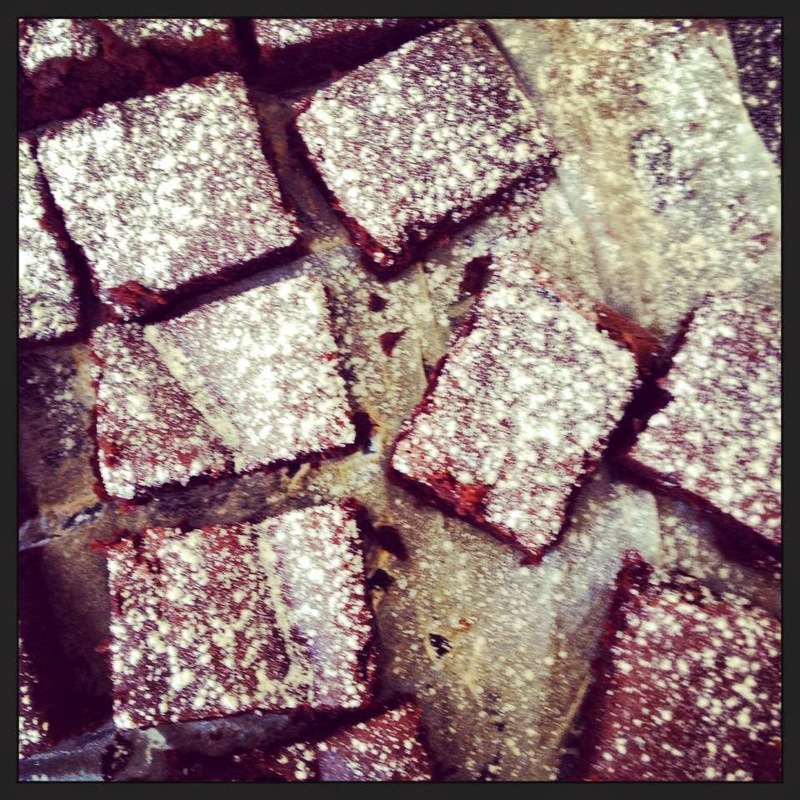 These have that gorgeous squidgy texture of a regular brownie but with a fraction of the fat & sugar. They make a great pack lunch treat as they're full of hidden fruits. If serving to children I would melt a small amount of white chocolate (about 50g) to drizzle over the surface instead of the icing sugar so they get that extra chocolate taste. Start by placing the whole orange in a pan of cold water and bring to the boil, drain and repeat twice, retaining the last poaching liquid until later. Cut the orange in half and pop into a food processor with the prunes, blitz until you have a smooth paste. Add the chocolate chips & orange zest to the hot paste, leave to cool slightly. Next add the egg & egg white and the vanilla, pulse to combine. Add the flours and cocoa and 3 tbsp of the poaching liquid, blend until smooth and combined, fold in the apricot pieces. Spoon into the prepared tin. Spread level with a palette knife and bake on the middle shelf of the preheated oven for 20-22 minutes. Leave to cool in the tin and then cut into squares and dust with icing sugar.